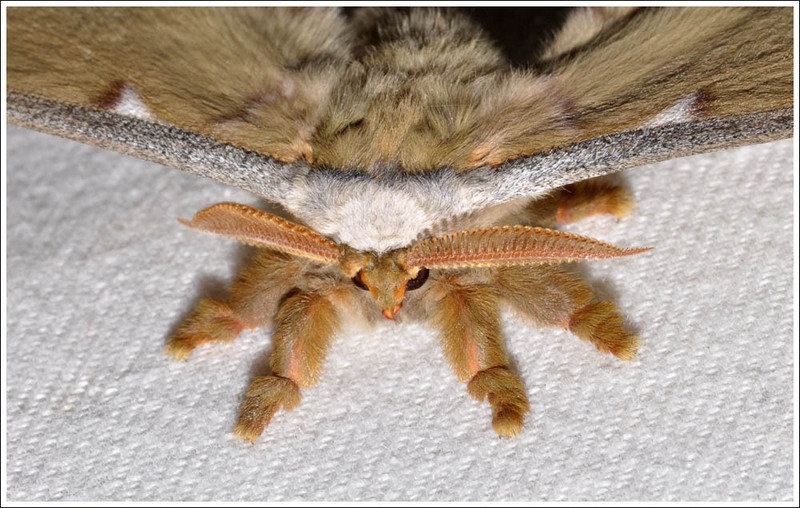 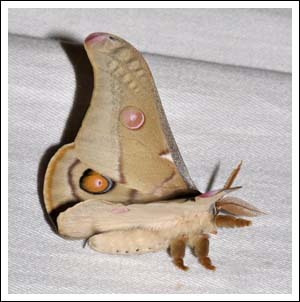 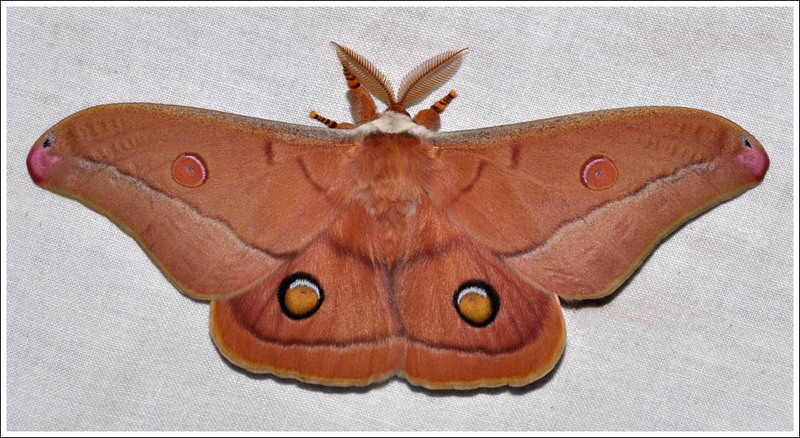 Magnificent moths, the Emperor Gum-moth, Opodiphthera eucalypti, and the Helena Gum-moth, Opodiphthera helena, members of the Saturniidae family. 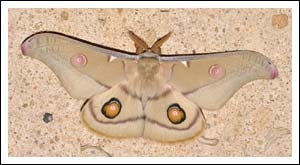 There is another species, O. loranthi that occurs just over the border in NSW and may be one day recorded in Victoria, its larvae are mistletoe feeders. (MOV 1) Both Victorian species fly in spring and summer with January being the main month. 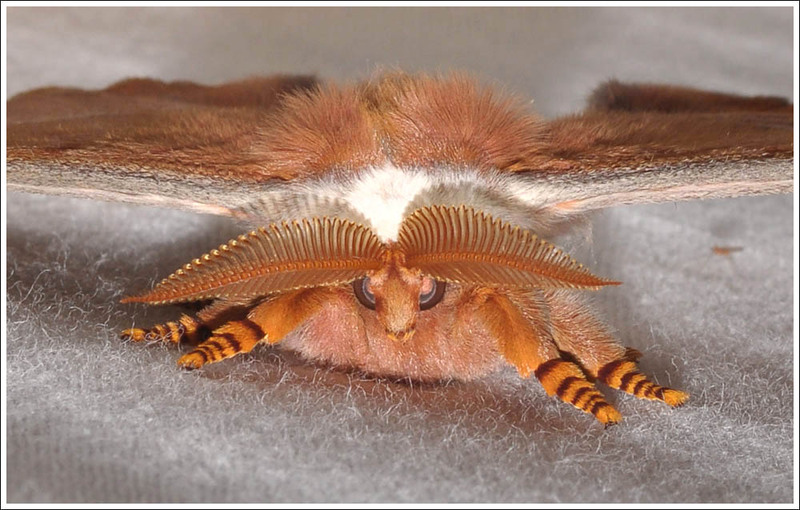 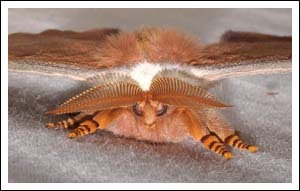 The larvae of both feed on eucalypt foliage plus two exotics, the Peppercorn and the Silver Birch. 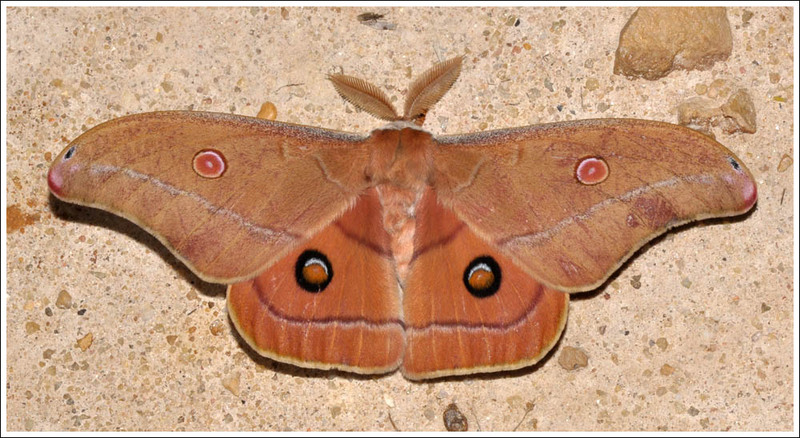 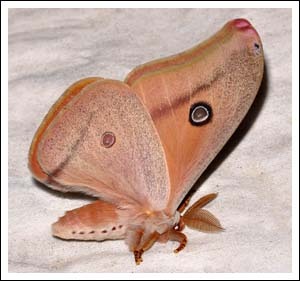 In this area the Helena Gum-moth has been the most frequent visitor to the light, while the Emperor Gum-moth that was common in earlier years seems to be much less so nowadays. 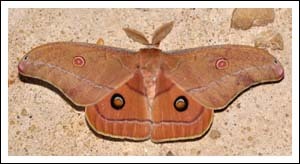 Firstly, four pictures of the male Emperor Gum-moth showing the pale triangular marks on the leading edges of the wings that are a distinguishing feature. 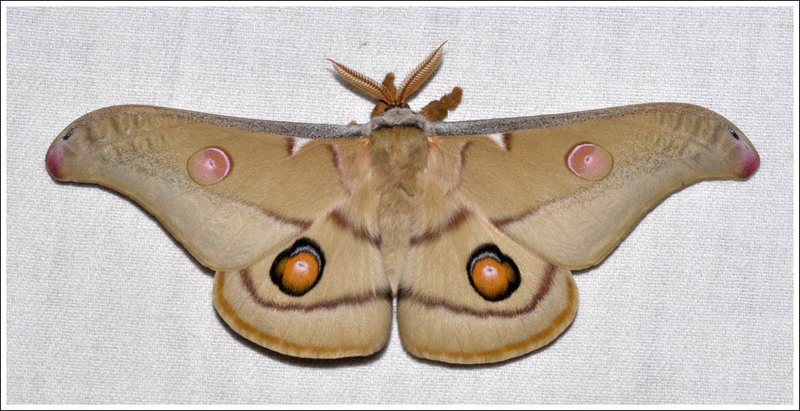 And four of the male Helena, all these moths were photographed in the Holey Plains State Park in springtime. 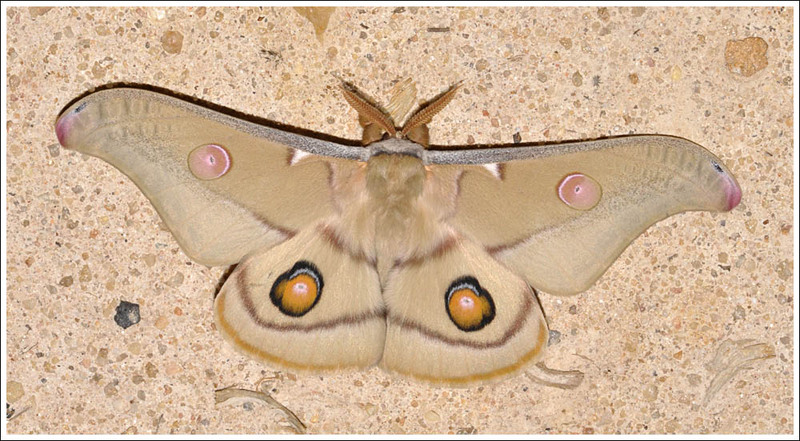 Posted on July 27, 2016 July 18, 2018 by PholodesPosted in Saturniidae, Moths.